MFI Carinthia is a gorgeous dark fawn with fleece that is incredibly dense, rust colored and very even in character and color throughout. She is the granddaughter of Accoyo male PPPeruvian El Moustachio, and her dam is Carrieanne, a beautiful black female with excellent fleece characteristics. An easy birther with plenty of milk, Carinthia has been a wonderful, easy keeping foundation female for us. 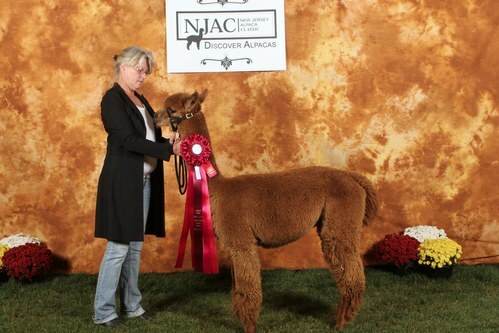 Her first cria is an award winning pure white female, sired by Black Mesquite. 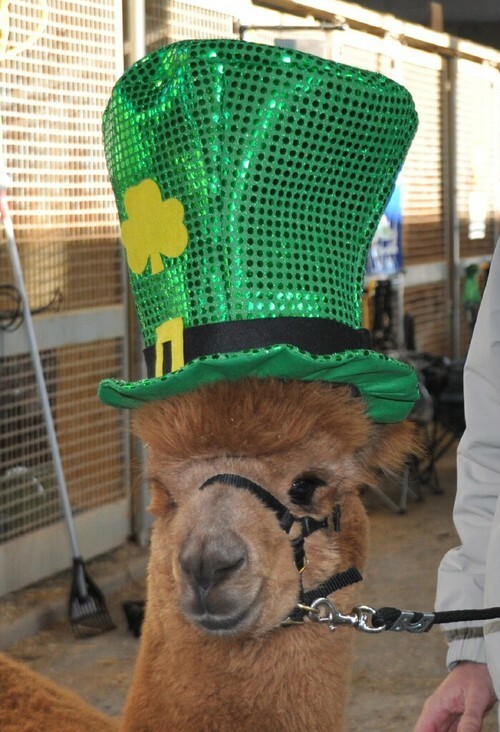 Dom Lucillio's cria has inherited the best of both parents, receiving praise in his first showing at 6 months and his first championship at one year. 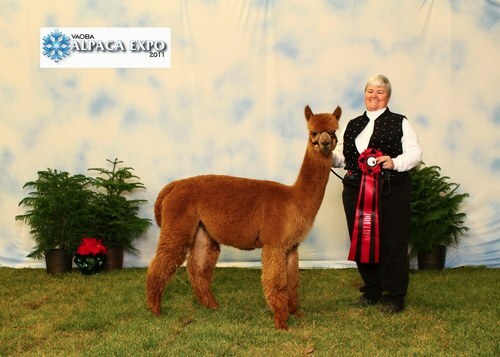 Her 2008 cria by Jasper Black is a sturdy beige boy with her dense fleece and his nice disposition. In 2009 she rewarded us with an adorable white female cria who is a real pistol. 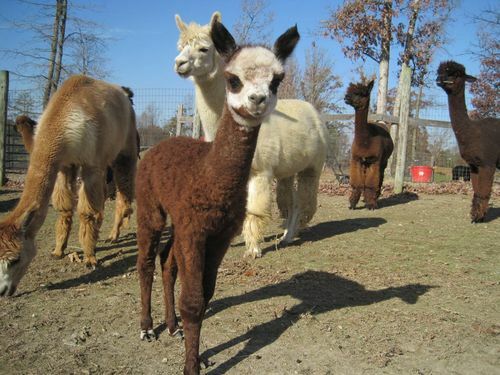 Every time she has been bred to a true black, Carinthia produces a white or beige cria! 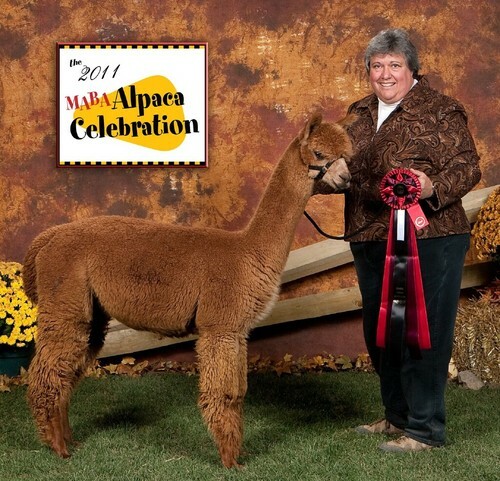 Her 2010 cria when bred to a dom Lucilio son is a brown male with amazingly crimpy and dense fleece. 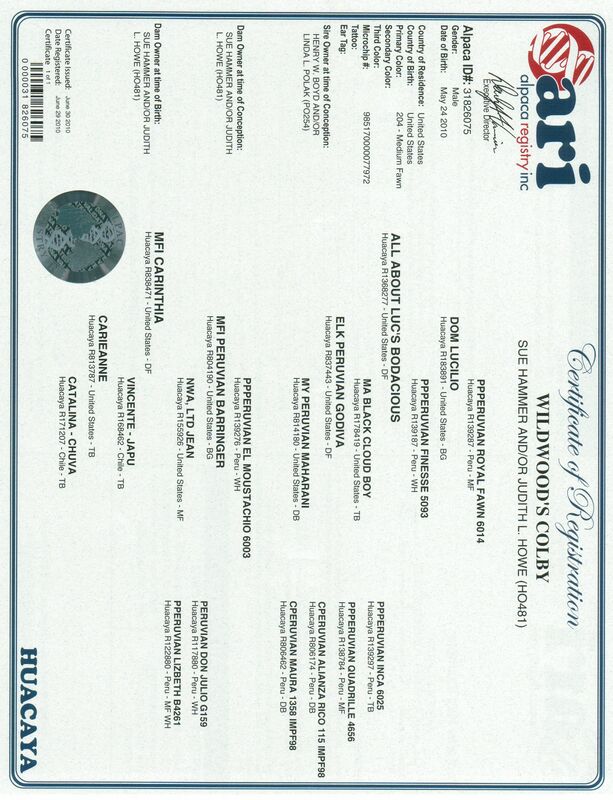 She is currently bred to our silver grey champion HDF Hunter. $500 Gets the job done! Colby has been a farm favorite ever since he was a cria. 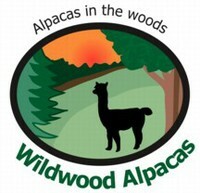 Calm, good natured and approachable, he's a wonderful PR animal in our "manly men" field. He protects the other males, too. He has never "walked" from the ring. Every show, every judge, has given him a ribbon in halter class, quite a few of them being reds behind a big farm's winner. We believe he gets his good disposition from his Dom Lucilio side as we have other Luc offspring and grands here who are also nice. His mother is a Fawn color champion and Futurity winner and has produced wonderful crias for us. Colby's grandmother and three of his great grandparents are true black so he could be carrying the black gene. 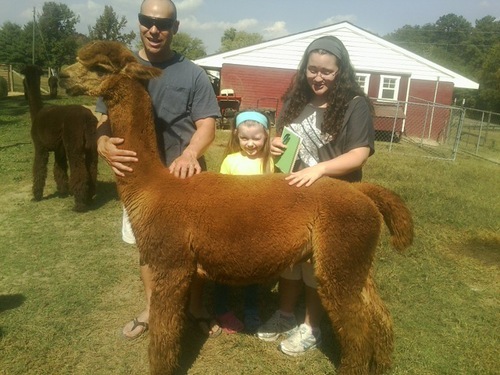 His half brother/uncle, Luc's Spittin' Image (a Carinthia/Dom Lucilio son) is a champion fawn and has sired a true black cria for us. Colby's first cria is a classic rose grey female. We do mobile breedings within 75 miles, too.